Q. Tell us about the Manzanita Grove Sampler. BE: This type of sampler was popular during the time period of the fabric. It’s typically called an album quilt. 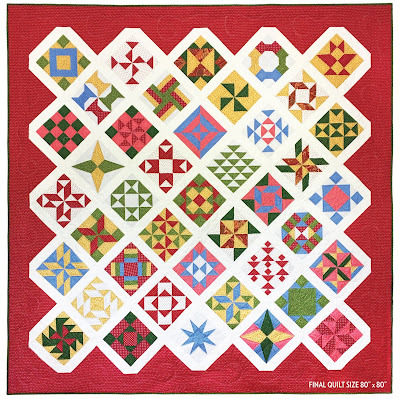 It includes a variety of different styles of blocks, and was often a friendship quilt made by a group of people. Q. Can you tell us about some of the blocks? BE: There are 41 blocks total. A few of the block designs show up more than once, but with very different color placement. For example, two of the red and white blocks are the same pattern, and two pinwheel blocks—one that is blue and yellow, and another is red, yellow, green and cream. See if you can find them! Q. How did you come up with the blocks? 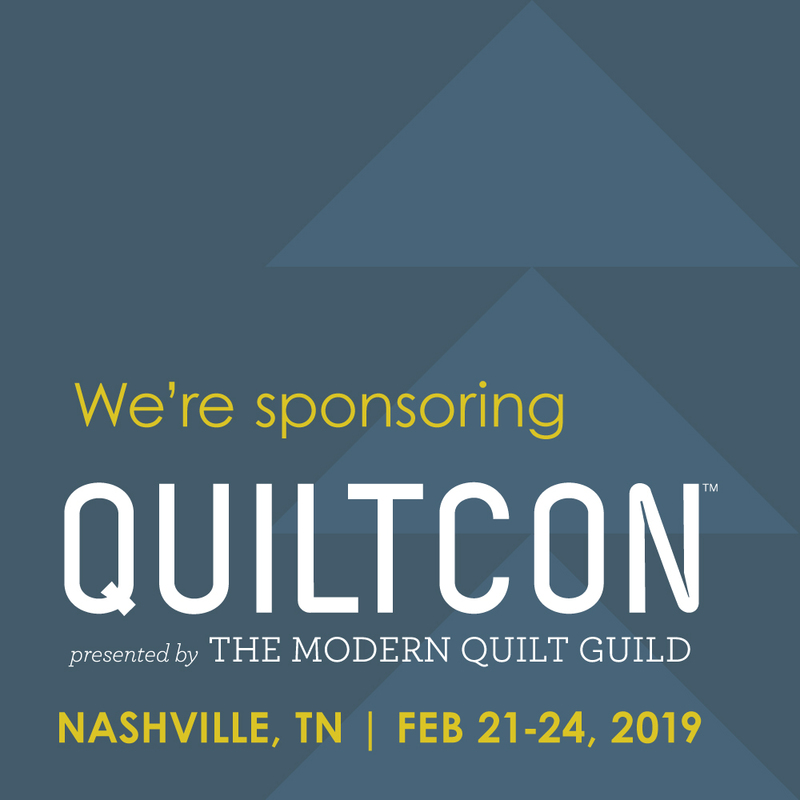 BE: Mostly from studying antique quilts. Some of the blocks are very simple; others are more complex. I think it’s good to have a variety of techniques and difficulty in a sampler quilt. Q. 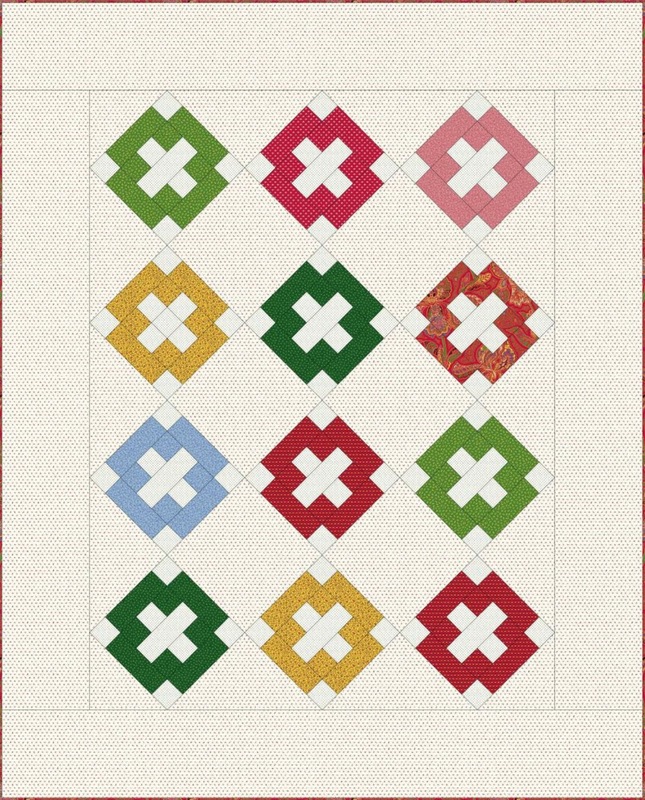 Do you have some favorite blocks in the quilt? BE: I love the group of five red and white blocks! They’re all made within one month. Q. There’s so much going on in this quilt! Is it hard to keep the cutting organized? BE: Because it’s a Block of the Month quilt, I designed it to make cutting easy each month—you’ll cut four blocks at a time, all in the same group of colors. So if you need, for example, flying geese blocks for more than one block that month, you’ll make them all at once. The BOM also comes with three different sets of cutting instructions: traditional rotary cutting, Accu-Quilt Go, and Marti Michell templates. Q. How did you decide on the layout? BE: The blocks measure 8” square, and I wanted the quilt to be large; I was able to add to the size by setting the blocks on point. I think it looks prettier, and it was common during that time period. I added sashing to space the blocks out. I originally tried the design with pointed corners on the sashing, but when I tried it with blunted corners, it changed the whole look of the quilt and I really liked it. Q. Why red for the border? BE: I love red, so it was an easy choice to use one of the red prints for the border. Just for fun, I tried a few other colors as the border. You can see them below. You could also enlarge the quilt even more by adding an outer border with the focal print. Barb also designed a FREE quilt pattern for her Manzanita Grove collection, the Manzanita Grove Album Quilt. Read our interview with Barb here. Thanks Rosa! We think so too!